Freezing the Python interpreter with an almost complete Python standard library into a single easy-to-use executable. The executable is only 11MB in size, does not require a system wide installation, but still supports most Python application and scripts. This talk was given at EuroPython 2012 and provides an introduction to the project, how it works and how it can be put to use in application deployments. 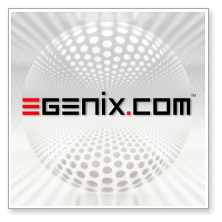 If you are interested in learning more about this project, or how eGenix can help you customize eGenix PyRun to your needs, please contact our eGenix Sales Team. The above 38-minute talk was given the EuroPython conference 2012 in Florence, Italy, by Marc-André Lemburg, CEO of eGenix.com. For the best viewing experience, please select 480p quality by clicking on the small gear icon and then switch to full-screen mode by clicking on the rectangular bracket icon on the lower right side of the player. (c) Copyright 2012 eGenix.com. All Rights Reserved.